The Team Welcome Ceremony will provide an official welcome to each of the 71 contingents coming to compete at the XIX Commonwealth Games 2010 Delhi. A ceremony based on protocol and Indian tradition will be conducted to mark the official arrival of each team to the Games Village. The Team Welcome Ceremonies will take place at the Ceremonial Plaza, located in the International Zone. The Village Newspaper is an important source of information for all residents and guests of the Games Village. 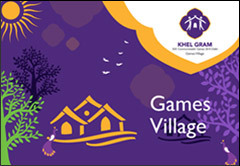 It will be a four-page newsletter, available free of charge at various locations in the Village that will highlight the daily activities in the Village and provide an entertainment schedule, along with feature stories highlighting Games-related events and covering the life of the people in the Village. Free Wi-Fi coverage will be available in all areas of the Games Village. The Village is classified as a non-smoking zone. Taking cognizance of the large environmental footprint of global multi-sporting events such as the Commonwealth Games, the Organising Committee Commonwealth Games Delhi 2010 has committed itself towards conducting the first-ever ‘Green Commonwealth Games,’ by showcasing and adopting principles and practices of sustainable development. The Games Village has adopted green features such as in-house waste water treatment and reuse facility, organic waste treatment facilities, sulphur-less diesel for generators, high levels of energy efficiency, and extensive use of solar energy-based lighting and water heating. Most of the transport fleet provided for the Games is running on green fuels such as battery-operated vehicles and CNG fuel. An air quality monitoring station has been set up near the Training Area, to help monitor the quality of air in the Village. Air quality parameters will be measured and real-time data on the amount of pollution in the air will be displayed. Residents and guests can also offset their travel carbon emission by computing their footprint and then procuring carbon credits at the Green Games Carbon Neutrality Kiosk, located in the International Zone. The World Anti-Doping Agency (WADA), in collaboration with Delhi 2010, has set up an anti-doping education hub, located at the main entrance of Main Dining. 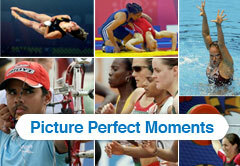 Here, an interactive Athletes Outreach Programme will be conducted. Awareness on doping matters will be created in a fun manner, and anti-doping experts will be present to address all questions and concerns of the athletes and team officials. There will also be a Doping Control Centre in the Games Village, which will be used for the pre-competition and out-of-competition testing programme, as well as for late finishing tests.